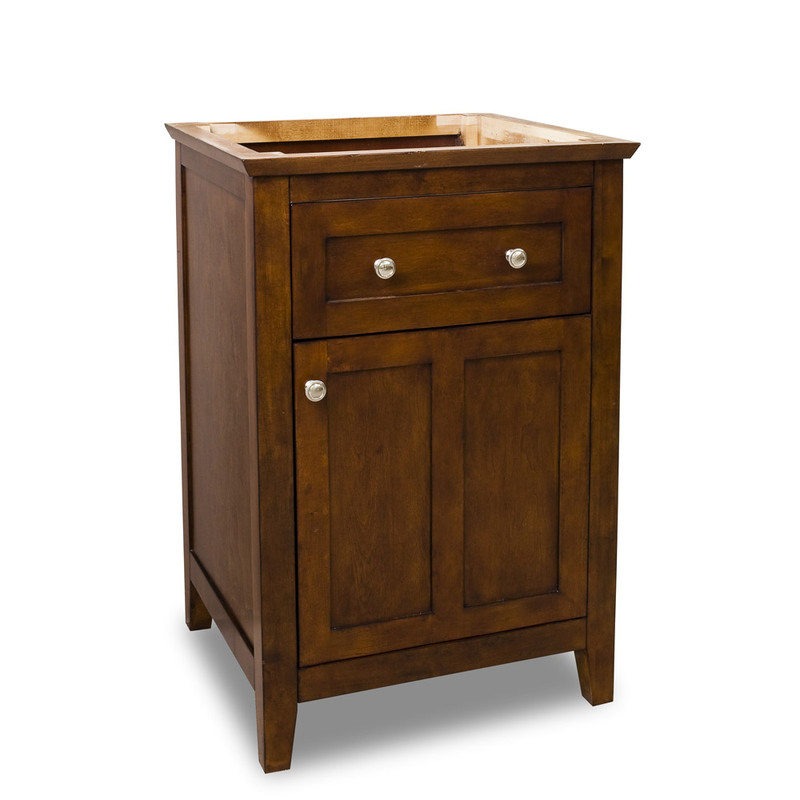 The 24" Vittoria Single Bath Vanity in chocolate has a simple traditional design that will look great with almost any bathroom decor. The traditional design is created by its slightly tapered legs, inset panels and rich chocolate finish. 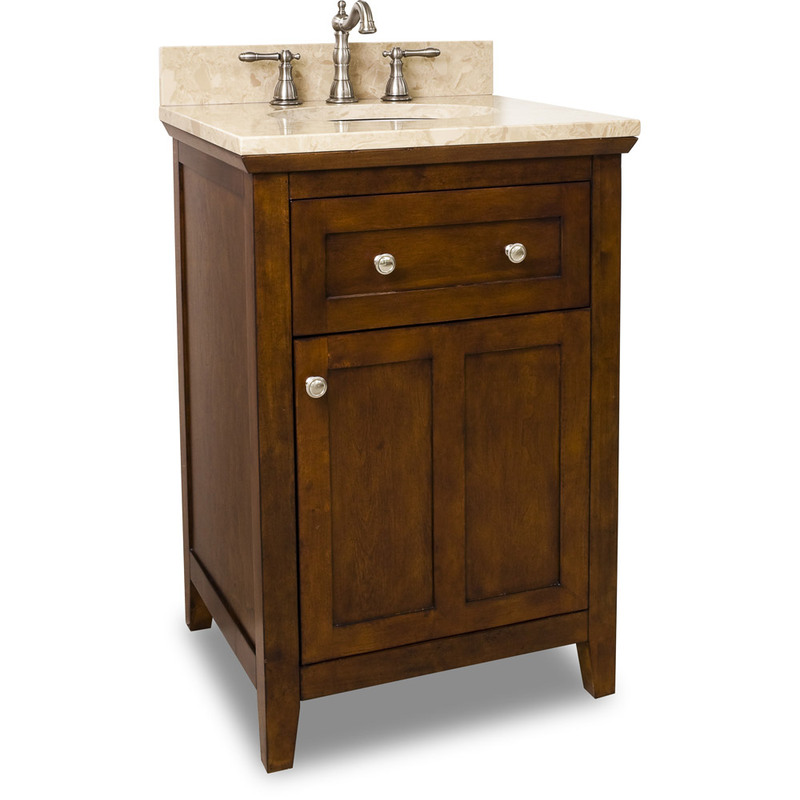 The finish is complemented by its cream colored marble top, giving the vanity a lot of warmth. 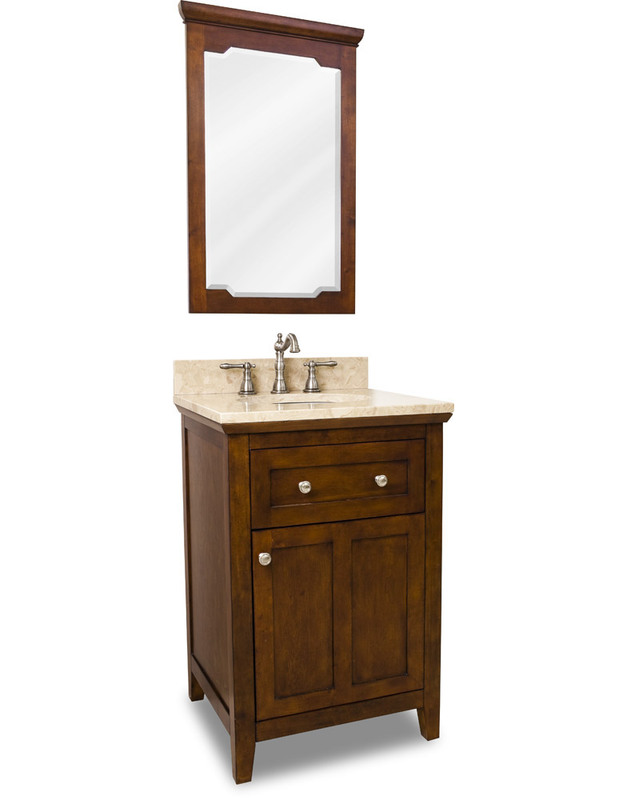 This vanity is also very functional with its storage drawer, and cabinet with adjustable shelf. Both of these feature soft close hardware, which means they will not slam shut. 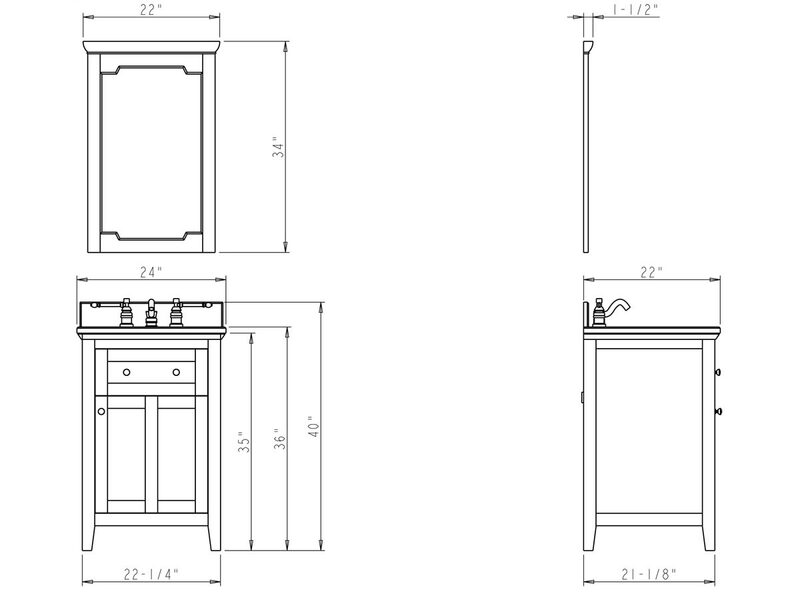 The vanity is available with or without the counter top and bowl. 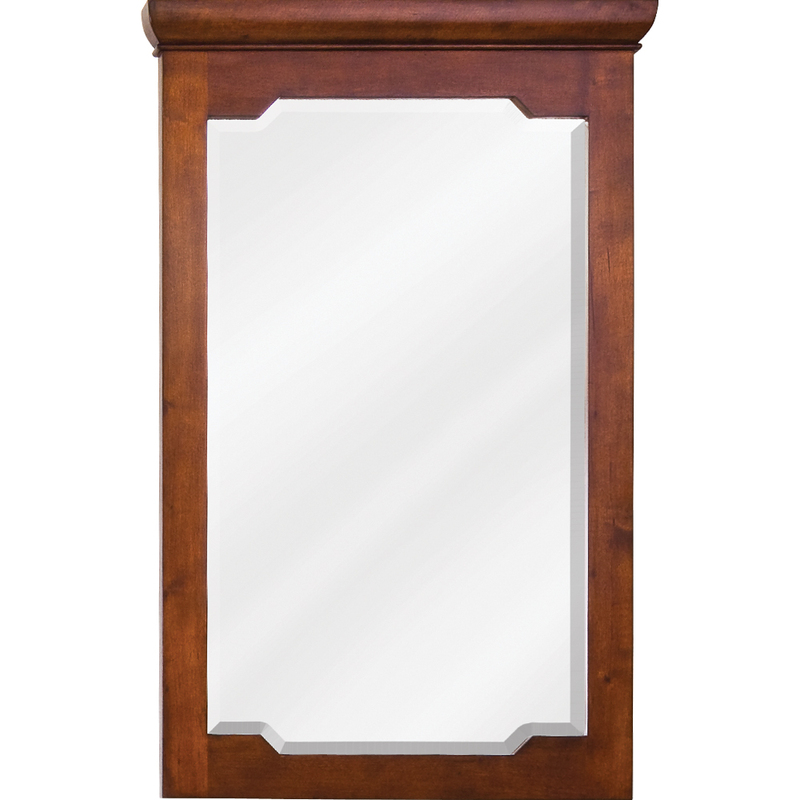 A matching framed mirror is also available for a full traditional bathroom design.